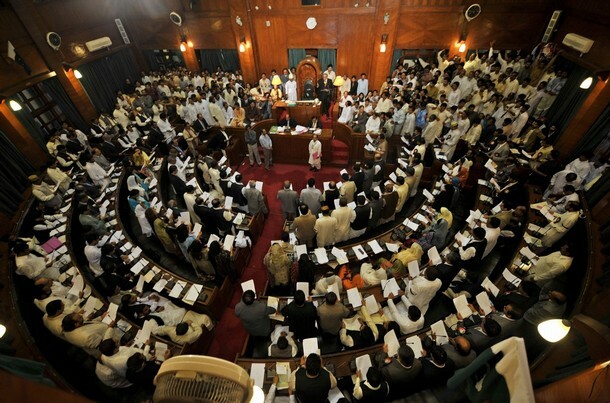 The Sindh Assembly Monday demanded the disbandment of the Council of Islamic Ideology while passing a resolution to stop implementation on the CII’s earlier decisions, Local TV reported. The resolution was moved by Pakistan Muslim League-Functional’s (PML-F) leader Mehtab Akhtar Rashidi. The Assembly expressed serious reservations over the recent decisions taken by the CII with regards to women. It moreover demanded of the federal government that any implementation pertaining to the CII’s decisions over underage marriages and DNA tests should be stopped. The CII has come under fire with its controversial statements and rulings of which the most recent were that laws related to minimum age of marriage were un-Islamic and that children of any age could get married if they attain puberty and that the current law requiring a man to seek written permission from his wife before contracting a second marriage should be amended.